Finally, a product that solves plant positioning and lighting issues. Use SolaRadiance® as a decorative planter and lighting solution. Harsh lights in the twilight and evening hours can ruin the tranquil atmosphere of any space, not to mention adding lighting to areas in your yard or patio/deck can be expensive and cause headaches. SolaRadiance® can be positioned to add flowering beauty and lighting in hard-to-access areas, as well as provide the ease of ambient light without increasing your power bill. Walkways and sidewalks are heavily used areas and on average have little to no lighting. 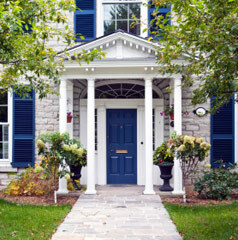 Use SolaRadiance® planters to enhance your sidewalk. Place SolaRadiance® evenly apart on both sides of your walkway or sidewalk to add accent lighting and safety to your home. SolaRadiance® is your solution. Is harsh lighting a deterrent for outdoor entertaining or enjoying your outdoor space? Many of our customers faced the issue of sitting on a dark patio/deck/porch, but were hesitant of turning on the high wattage bulb for fear of bugs and ruining what little ambiance they had. SolaRadiance® is your solution. Place SolaRadiance® in those typically shadowed or dark areas and enjoy your flowers and fill your patio/deck/porch with light borrowed from the sun. 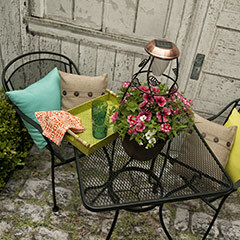 Be creative and replace your table planter with SolaRadiance®. 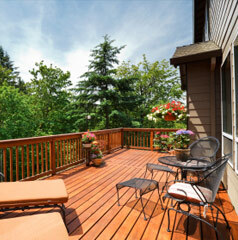 Corners of your patio/deck/porch can get direct sunlight during the day and become the perfect solution with SolaRadiance® during the evening. 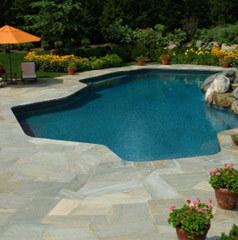 Lighting your pool area can be tricky. The lights inside your pool may not be bright enough to illuminate the walkway around your pool or the lights from your deck or patio do not reach the pool area. SolaRadiance® is your solution. Replace your stand-alone planters with SolaRadiance®. Not only do you have the benefits of a planter when the evening hours approach, you can also enjoy your flowers and provide light in those tricky areas around your pool. SolaRadiance® is a reusable planter for seasonal use.